Scrolling recent posts gadget is a best widget to show off recent posts from your blog with a jQuery scroll effect,which grabs attention of of visitors very quickly.Previously I shared a scrolling/ticker recent posts widget but some of you faced some problems while installing it,that's why here I am sharing a new scrolling recent posts widget,which works a with a jQuery spy effect,this is the best feature of this widget.Each snippets of this widget contains title of post,thumbnail of post,date when that post was published and number of comments on that post.Also all of the above options are fully customizable,so that you can easily customize this widget as you wish.Above are the some features of this widget now lets see how to add it into your blogger blog. How To Add Scrolling Recent Posts Widget To Blogger? 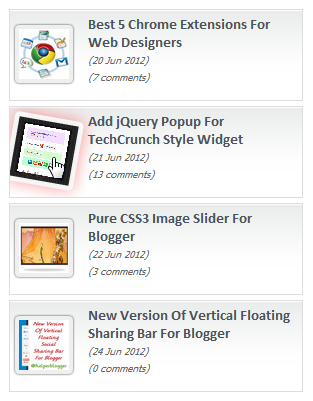 Now you have implemented jQuery library into your blog.Now lets see how to add scrolling recent posts widget to blogger. 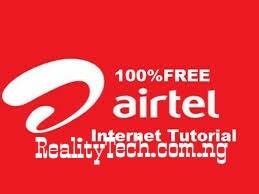 Now replace http://www.realitytechs.com.ng/ with your blog URL. As I mentioned above this widget is fully customizable,you can also customizing it at your own just by reading the properties of the values such as numposts means number of posts.In above code I am highlighting some values which you can simply edit them.Also I highly recommend you that,done all the changes in our HTML Editor.With using the html editor you can simply customize this widget as you wish with watching preview of your chnages. Finally save your all changes and visit you blog to see the working widget. Don't forget to drop your comments and share this Post with friends using the share bottons below.